The last couple of weeks of May and the first week of June found us in Zambia. After David had finished his courses and directing the master’s thesis of one of the students, we were free to go to Zambia to teach at the Kafakumba Pastor’s School. This is a school for village pastors who come for training 6 weeks a year. It is comparable with our Conference Course of Study. The training is over an 8 year period. Some 120 students from the Methodist Church in Tanzania, Senegal, Congo and Zambia were present. This is now the second year that we have come to teach. David taught classes on Contextualization, Leadership and the Holy Spirit. Lori taught the wives Nutrition and led the morning Bible study. She also had a session with all the pastors on Nutrition. It was a wonderful time of fellowship with John and Kendra Enright, who are the moving force behind the Training School. 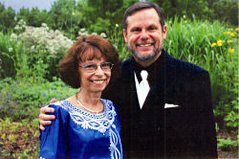 John’s parents were contemporary missionaries with our parents and we grew up together. Kafakumba is also involved in banana and aloe vera plantations as a means of supporting the school and other programs. We have started to partner with them in order to make the Seminary at Mulungwishi more self supporting. While in Zambia, we also had our health issues. David, with quite a number of others, came down with a stomach flew for a few days. Lori had a bout of malaria that delayed our return by a few days. We returned to Congo on Sunday going through the border at Kasumbalesa. More about our border crossing in the next posting. Now back in Congo, David has a mild case of malaria. Please continue to pray for our health and the next few weeks as the academic year comes to a close.